Journalists and analysts associated with Saudi money and working for years to spread propaganda and to defend the interests of the kingdom, put forward three reasons for the Saudi anger. Two of these reasons seem sincere, while the third, as old as the US-Saudi relationship, intended to throw dust in the eyes. First: U.S. Secretary of State, John Kerry, said in London that the anger of the kingdom is due to the decision of the United States not to attack Syria. This means that Saudi Arabia advocated a global war which could have led, according to experts, to the destruction of the main Syrian infrastructure and killed tens of thousands of people, plus millions of refugees. The purpose of these strikes was to clear the way for the proxy war launched by Saudi Arabia against Syria through Takfirist gangs, which seems today in an impasse. The Saudis know that the Obama administration had mobilized its fleet and set the day and time of the assault. Then it was forced to retreat at the last minute after the detection of the two ballistic missiles over the Mediterranean sea by Russian radars. Aggression has faced undefeatable equations imposed by a strong will, essentially built on the Syrian decision to defend itself whatever the price, and an exceptional courage displayed by the axis of the resistance -Iran and Hezbollah- with the strong support of the Russian partner. The latter has crowned its deterrent diplomacy by the chemical initiative, which has provided the United States an acceptable exit. In this context, the attitude of Saudi Arabia is illogical. Because it is America that takes the decisions, issues orders and sets goals. The kingdom simply execute the orders. Such the rule has always been, and when King Faisal tried to break them during the 1973 war, he was assassinated. Saudi Arabia’s request to destroy Syria is shameful. The old Kingdom, which has a lot of money, do not have the means to change the regional and international balances that forced President Obama to back down. Also, Saudi anger will have no practical effect, except to continue to support terrorist gangs in Syria and to encourage its agents gathered in political coalitions to delay Geneva 2 conference. This game can continue until the United States continue to flee its commitment to stop supporting terrorism in Syria or when the Syrian Arab army deadly blows gangs financed and armed by Prince Bandar bin Sultan, and who have in their ranks thousands of Saudis nationals. Second: Saudi anger against the dialogue between the U.S. and Iran is a desperate move, because the U.S. decision to enter into a dialogue with the Islamic Republic came after three decades of blockade, sabotage, sanctions, pressure and propaganda campaigns initiated by Riyadh and Israel. This period was marked by direct and intelligence wars, which have failed to break Iran’s will to resist. Instead, the tenacity of the people and the leadership of Iran has forced the West to recognize Tehran as a regional power and as an international actor. Since the first Gulf War (1981), the invasion of Lebanon by Israel (1982), the invasion of Iraq (2003), the war in Syria (2011), the aggression against Gaza (2009 & 2012) and the July 2006 war in Lebanon, Western and Israeli projects have failed miserably. The United States can only draw conclusions from the setbacks they suffered that the dialogue is their only choice. Saudi Arabia as well has no other choice. The irritation and the hysterical attitude will not change this reality. Finally, the third reason spread by pro-Saudi writers is that the anger of the kingdom is also due to the fact that the Americans put the interests of Israel at the top of their priorities. It’s a joke that makes you smile. Everyone knows that the Wahhabi kingdom was the most faithful servant of American and Israeli interests. 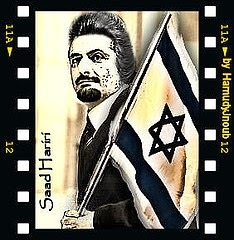 All know and remember that the first Gulf War, which was to bleed and weaken Iran, was funded for eight years by the money of petrodollars, which were also very general with the Israeli wars against the resistance in Lebanon. Targeting President Bashar al-Assad for 13 years is also the greatest service that Saudi can make to Israel. Since the founding of the Saudi kingdom, the country is dedicated to serve the goals set by colonialist and imperialist powers, against the interests of the peoples of the region. The attempt to introduce the Israeli dimension in its anger doesn’t mislead anyone, because for decades, Saudi has never undertaken anything to stop the colonization of Palestinian or to protect al-Aqsa Mosque in Jerusalem. But it is ready to rush the whole region in the throes of a total war to fight Iran, even if it means to exacerbate, as never before, the discord between Sunnis and Shiites. «Saudi Arabia publically supports the armed groups and implements sincerely the policies of the United States. Syria is to negotiate with the boss and not with the executioners. It is still early to talk about his candidacy for Presidency in the coming elections before setting the date for the elections. There is no reason for me, however, as not to be a candidate. I call on the UN envoy to Syria, Elakhdar Al-Ibrahimi, to commit himself to his task and not to deviate from it. The struggle is now with Al-Qaeda and its affiliates like al-Nusra front and the so-called Islamic State in Iraq and Bilad al-Sham. The ongoing in Syria is different from what happened in Tunisia and Egypt, particularly as far as foreign intervention, and flow of money and terrorists, not to mention the peculiarity of Syria, political situation and the structure of the State. Carrying weapons transforms any opposition into terrorism. The West wasn’t interested in fighting terrorism in the 70s and 80s. Syria allied itself with all countries to combat terrorism, including the USA. Terrorism can’t be used as a card and Syria has ever been against terrorism. The United States has done none for making success of the peace process. Syria has been flexible with the Americans as far as combating terrorism and Mideast peace process. The use of arms against the State started since the early days of the crisis, where the Syrian police personnel were martyred. Moslem brotherhood is an opportunist terrorist group, based on hypocrisy, and exploits religion for political gains. Since 1997 Syria stopped the production of chemical weapons. The factors leading to the success of the proposed Geneva 2 aren’t available. Syria is ready to attend the said conference with no preconditions. The crisis is to be solved once the flow of weapons, money and terrorists would stop. Clashes between the neighborhoods of Jabal Mohsen and Bab al-Tabbaneh in Tripoli continued for a fifth day on Saturday, as casualties continued to rise. At least ten people have been killed in the Lebanese city since Monday. Al-Islami hospital told the Lebanese National News Agency that it was treating up to 10 people injured in the conflict, most with relatively stable conditions. Friday’s Muslim sermon and prayer were the first period of relative quiet the city has experienced in days, as fighting was temporarily halted. In a call for government action, the former general director of the Lebanese Internal Security Forces, Ashraf al-Rifi, called for an end to the clashes. “What is happening is unacceptable under any circumstances and must be stopped immediately,” Rifi said in a press release on Friday, echoing condemnations by numerous other Lebanese political figures. Tripoli has endured sporadic clashes since 2011, as the two-year Syrian conflict heightened tensions in the northern Lebanese city. A clash took place in the Bekaa Thursday between a patrol of Lebanese army intelligence and armed elements carrying 250 kilograms of explosives. Two criminals, one of whom was wearing an explosive belt, were killed and two others, a Lebanese and a Syrian arrested. Moreover, Elnashra.com site reported that the Lebanese Army arrested on Wednesday, four Syrians who were trying to illegally enter Ersal with their weapons. The soldiers confiscated four AK47 machine guns and ammunition. The Syrian authorities late Wednesday released 49 activist female prisoners in exchange of the release of the Lebanese pilgrims who were kidnapped by Syrian rebels, activists reported. Among the freed prisoners is young blogger Tal al-Mallouhi, who was imprisoned in late 2009 after writing a blog calling on President Bashar al-Assad to expedite reforms in the country. Syrian activist Sima Nassar told AFP that “since Tuesday the Syrian authorities have released 64 of the 128 prisoners due to be freed as part of the agreement”. “Syrian authorities have ordered some prisoners to leave Syrian territory while others were given a choice to stay or leave,” she added. Among those released were a Lebanese, two Palestinians and a Syrian who had been imprisoned because her uncle is a dissident and her father a dissident lawyer, Nassar said. How the Saudis will compensate for the loss of Aazaz Lebanese hostages? The question arises because the nine former Lebanese hostages in Syria were the real purpose of the attack by Abu Omar al- Kuwaiti group against Aazaz to prevent their release. It was for this group to recover the hostages to add cards that Saudi intelligence seeking to hold in northern Syria to use against Hezbollah. A Syrian source who tried to mediate in the case of the Lebanese hostages a year ago explained that the policy conducted by the head of Saudi intelligence, Prince Bandar bin Sultan, now plans to compensate for the loss of these hostages by substituting other hostages as soon as possible. Especially since experience has shown that such a card is a factor of significant pressure on Hezbollah public, to try in the future to limit the participation of Hezbollah to the fight in Syria. The source, who works as mediator to release hostages, from all nationalities, held precisely by the Islamic State in Iraq and the Levant and al-Nosra Front in Syria, also argues that the hostages were assigned to these two groups because they reject till this moment any mediation for their release. They haven’t release any hostages until now. Another Syrian source reports that al-Nosra and the Islamic state group keep under detention in a prison near el-Tabka dam in eastern Syria, four French hostages, two Spanish and a German national. He’s a doctor removed while he was in a hospital in Aazaz a month ago. The emir of Islamic State in Tabka Abu Lokman, was given two french by Abu Yacoub, one of the emirs of al-Nosra in Rakka. According to this source, a close Syrian mediator of Islamic State, who visited the hostages in prison ten days ago, ensures that they are still alive. The Saudi intelligence and the Turks have influence over these groups through large arms shipments benefiting in particular to al-Nosra for over a year. As for the policy of these groups, which is to accumulate the hostages, it would be due, according to the source, to their willingness to take cards to exert pressures on all parties. A connoisseur of the case of former Lebanese hostages shows that Qatar, without which it would not have been possible to obtain the release of Lebanese prisoners, is currently reviewing its position vis-à-vis Syria and Iran. The US-Russian agreement on negotiations in Geneva, has, it seems, made ​​it imperative for Qatar to be realistic and to respond positively to the U.S. decision. The emir of Qatar, Tamim bin Hamad, would have picked up the signal given by Washington’s decision to change its approach to the Syrian crisis. It is therefore possible that Lebanese personalities such as Nabih Berri and Hezbollah representatives would be invited to Doha soon. It seems that the Qataris have avoided any frontal collision with the United States on Syria, unlike the Saudis, who have chosen to continue their war against the Syrian regime and Iran and try to obstruct the Geneva 2 conference. A Syrian opposition also cited U.S. officials as saying that the Saudis still betting on a military solution in Syria. According to U.S. officials, the United States rejected a Saudi request to postpone by one year the Geneva conference until the armed opposition reinforce their positions on the battleground. A French diplomat believes that holding the conference in Geneva is no longer a doubt but that this peace talks will be doomed to failure because of the imbalance of forces in favor of the regime. “We are preparing for the post-Geneva,” he said. He also revealed that Europeans have again invited the Saudis to stop helping the Salafis and jihadists in Syria and said that Saudi officials have again promised to do so. Caretaker Prime Minister Najib Miqati voiced the importance of the Lebanese army and security forces’ role to control the situation in the northern city of Tripoli. “We have given orders to the army and all security forces [to operate in Tripoli], and the ball is now in the security forces’ court. There is nothing that prevents the establishment of stability in a firm manner,” Miqati told An-Nahar. Miqati also voiced his rejection that the city of Tripoli would turn into a mailbox for regional messages. “Tripoli will not be a mailbox or a target to send messages and it is the citizens’ right that their state protects them and prevents the killing of innocent people in their houses or on the side of the road,” he said. He also noted that “there is a feeling prevailing in Tripoli that the city has been left to its own fate.” “There is no excuse or justification for not putting an end to the current chaos… after everyone in Tripoli removed the cover off any party that tries to destroy the situation,” he added. According to reports, the prime minister designate, Tammam Salam, plans to quit in the next two weeks, as he has concluded that it is impossible for him to form a government. The President of the Republic, Michel Sleiman, will organize thereafter new parliamentary consultations to appoint a new prime minister who will form most likely a neutral government. Nasser Charara (October 25, 2013) Until two months ago, Saudi Arabia considered Moussa Koussa, the most prominent Libyan intelligence chief under Muammar Gaddafi, a major threat to its security. But it seems that Bandar bin Sultan’s return as Saudi’s spy chief helped reset Koussa’s record and recruit him for his team. Koussa, the former head of Libyan intelligence, is suddenly no longer the same dangerous man accused of planning terrorist attacks against Saudi Arabia, as he had been under Gaddafi. Thanks to Bandar bin Sultan’s return, the book has been closed on Koussa’s anti-Saudi past. 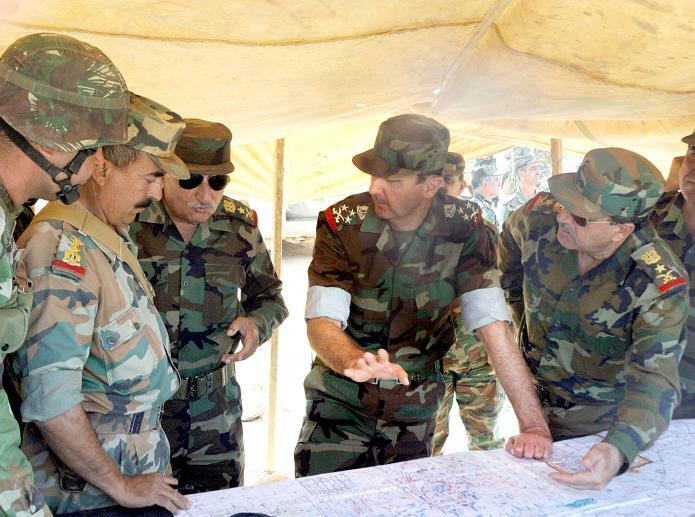 Koussa has now been classified as “friendly,” as Bandar has enlisted Koussa’s important skills for his open-ended security operations in many parts of the world, especially Syria. Reports indicate that over the past two months Riyadh subjected Koussa to the traditional procedures that Saudi uses to re-establish relations with certain figures. 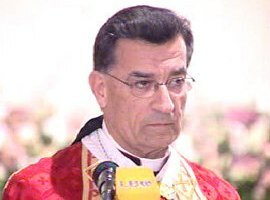 Accordingly, Koussa was invited by Saudi intelligence to perform the umra in Mecca, and then the hajj as a royal guest. During the two visits, Koussa held long meetings with Bandar, focusing on turning the page on the past and restoring confidence. For decades Saudi Arabia accused Koussa of involvement in at least two major cases, including the well-publicized attempt to assassinate King Abdullah on the direct orders of Gaddafi, following a spat between the colonel and the king during the 2003 Arab League summit in Sharm al-Sheikh. Although Koussa had been promoted from intelligence chief to Libya’s foreign minister during that period, the Saudis still considered him the true authority of Gaddafi’s spy services, deeming his promotion a ploy to give his spy work a diplomatic cover. The second, unpublicized Saudi accusation against Koussa involves what Saudi intelligence says is an important role assigned to the Libyan official by the US Central Intelligence Agency (CIA) to implement a plan to partition Saudi Arabia into five smaller states. Sources familiar with Koussa’s movements in the period that followed his defection from the Gaddafi regime following the Libyan uprising, say that the former intelligence chief had been based between Doha and London. In truth, it was the British government that is credited for taking Koussa’s name off the international list of wanted Gaddafi regime figures. Koussa soon forged close ties with former Qatari prime minister Hamad bin Jassim. Then, following Qatar’s withdrawal from the forefront in the war to topple President Bashar al-Assad, Riyadh, at Bandar’s initiative, opened a new chapter with Koussa, in return for his services on several issues considered vital by Saudi. Questions arise: What is the nature of Koussa’s new Saudi-dictated assignments? What kind of assignment would justify Saudi putting aside its past reservations about the Libyan strongman? There is speculation, according to informed sources, regarding the kind of political thinking currently prevailing in Saudi Arabia. Most prominently, Bandar is thought to be of the opinion that Saudi, as it is undergoing an era of unprecedented crisis in its international relations, especially with the United States and Russia, might need to restore Koussa’s role as an “international shadow broker,” this time working on behalf of Saudi. Indeed, as a result of rubbing shoulders with many in the international intelligence community, Bandar realizes that Koussa is well-qualified for this kind of assignment. For one thing, Koussa engineered more than once solutions for Gaddafi’s problems with the West, concluding political deals on behalf of the Libyan dictator by finding security- and intelligence-related common grounds with his foes. It seems that the head of Saudi intelligence intends to assign Gaddafi’s top security man to put his international intelligence relations to use to conclude political-intelligence deals on behalf of Saudi Arabia. After the fall of the Muslim Brotherhood in Egypt, Hamas suddenly found itself isolated, its leadership scattered across the region. Any attempt to return to the resistance camp, however, will likely meet with failure. It’s unlikely that we will see any kind of reconciliation between Hamas and its former allies of the so-called resistance axis, particularly Iran and Syria. President Bashar al-Assad’s many public statement confirm this. The very idea of Hamas leaving Syria in 2011 was not even on the table before the events in Egypt last June and July that saw the toppling of Egyptian President Mohamed Mursi. At that time, the Muslim Brotherhood was on the rise in a number of countries, leading the Palestinian movement to believe that the whole region was about to open before them. Iran and Hezbollah were taken aback by reports from the Syrian regime that Hamas members were involved in fighting alongside the opposition. And the worst of it was that they were using the weapons and fighting methods they gained from their former allies. When Morsi was toppled and the Brotherhood suppressed, the fortunes of Hamas turned for the worse, as the tunnels of Rafah were destroyed and its members were being targeted by both the Syrian and Egyptian regimes. This put the resistance camp before two choices: either leave Hamas to its fate, something that would above all benefit the Israeli enemy, or find a way to preserve this powerful resistance movement. Both sides had a chance to test the waters when Hamas leader Mohammed Nasr visited Tehran, supposedly to pay respects to the Revolutionary Guards’ commander, Qassem Sulemani, after his mother passed away. Nasr expressed the Palestinian movement’s interest in reestablishing ties with Iran, something that the latter welcomed, but with conditions. Although there are those in Iran who are reluctant to give Hamas a second chance, Damascus is demanding a heavy price for any reconciliation, such as calling for the removal of Khaled Meshaal from the party’s leadership, and insisting – as Assad did in a recent interview – that it must choose between being a resistance movement or a branch of the Muslim Brotherhood. Many in the Syrian capital are convinced that this change of heart on the part of Hamas has more to do with the difficult situation they find themselves in today rather than any realization that they have committed serious mistakes, in which case the movement could very well switch positions again, if circumstances in the region turn in its favor. Recent expressions of regret from Hamas officials – for example, when a senior member recently said that Meshaal had raised the Syrian opposition flag “by mistake” during his visit to Gaza at the end of 2012 – appear to be an attempt, however modest, at fulfilling some of the conditions the resistance axis has placed on the Palestinian movement’s return. It is true that there are those within Hamas whose main concerns are limited to their liberation struggle and blame Meshaal for implicating the movement in other countries’ disputes. This has led the politburo leader to offer his resignation over the past few weeks, if it would solve the problem. However, the dominant current in the party opposes such a step, fearing that no matter what the movement does, it will never regain the position it once had in the resistance axis. Has the Arab Spring contagion finally reached Lebanon’s Shia Amal Movement? Possibly. Though the change being talked about today in the party leaves the top leadership intact. Nabih Berri, leader of Amal and Lebanese speaker of parliament, tells Al-Akhbar, “We will see change in Amal that will affect everything and all posts.” The Shia party says it is in the process of promoting a younger generation of activists into leadership posts, replacing ineffective elements at all levels of the organization. Kobeissy, however, readily admits that there are many party officials who find it hard to balance between making a living and carrying out their organizational duties, due to the fact that Amal does not have the resources to finance full-time positions in many areas. The centerpiece of the change underway is to fast track younger party members, particularly from the universities, bypassing the existing bureaucratic practice of having to serve a long term in the lower ranks of the organization before even reaching mid-level positions. According to Kobeissy, part of the goal is break up the routine of party activity, whereby Amal will be establishing a permanent school to train new members. The group will also develop its youth groups, such as the scouts, possibly helping to reverse the loss of members to Hezbollah over the past years. Berri understands that some of the problems stem from his inability to stay on top of the organization and maintain contact with the rank and file, mainly due to either the constant threat to his personal security or, as he puts it, “organizational burnout” after 33 years of leading the movement. There are indications of an imminent battle in western Ghouta, the agricultural belt surrounding Damascus. The battle will have long-term strategic implications, especially in terms of expanding the “safe zone” protecting the Syrian capital. For some time now, all eyes have been on east Ghouta near Damascus, especially in the wake of the area’s chemical attack. Yet for weeks the Syrian army has been pressing ahead with operations in western Ghouta, witnessing rapid advances and regaining control over Husseiniya, Dhiyabiya, and Bouweida. A field source told Al-Akhbar that preparations are underway for an offensive in the area, which will include the towns surrounding the Sayyida Zainab district. The offensive will have significant military consequences: cutting off a major militant supply route from the Golan and Daraa; expanding the buffer zone protecting Damascus; and reopening the main route to Sayyida Zainab. It is no secret that there are contacts between Syrian army defectors and Syrian army officers, thanks to the army’s advances. The source said that some of the defectors have placed themselves at the disposal of the government and even provided security services, facilitating current and future operations on the ground. There is widespread anxiety among the ranks of the militants over the impending army offensive, said the source. There are contacts underway between senior opposition leaders and the army to reach a settlement and hand over the town to the regime. litant groups are active in Hujeira, each comprising anywhere from 20 to 200 fighters. Most of the fighters are originally refugees from the Golan Heights. The most powerful groups are the Descendants of the Prophet Brigades and the Martyrs of the Golan Brigade. The source said that these fighters “have an extremely bad reputation,” on account of the robberies and other assaults they carried out. In Beit Sahm, north of Sayyida Zainab, there were reconciliation attempts earlier this year between the Ministry of National Reconciliation and opposition groups. The militants control the inner parts of the town, while the segments adjacent to the airport road are controlled by the Syrian army. The same source recounted how the militants turned out to be misleading the government in order to bring supplies to the town, and how after they did so, they reneged on the agreement. More than a month ago, local residents revived reconciliation efforts, and 50 people from Beit Sahm were handed over to the authorities. These individuals later turned out to be civilians who had nothing to do with the militants. The militants in Beit Sahm continue to play such games, bringing negotiations almost to a halt. Yalda, bordered by Hujeira to the south and Babila to the east, is home to several radical Islamist brigades. The radical Islamists here reportedly deal arrogantly with other militants in surrounding areas while imposing their own laws through a local authority. Babila is also controlled by radical Islamists and home to a large number of foreign jihadis and a Sharia court. Gharba, about half a mile west of Sayyida Zainab, has nearly been razed to the ground, and is currently controlled by al-Nusra Front. In this area, al-Nusra collaborates with the group that goes by the name Environs of Jerusalem, which consists of extremists close to Hamas. The battle of western Ghouta will further pressure the militants throughout the entire Damascus countryside. The source said, “[Retaking] these villages is a matter of days, no more. These areas relied on fighters from al-Hajar al-Aswad, but in recent battles, no support came because of their scattered ranks and their treachery.” “There is a particular strategy and a great comprehension of the enemy’s military thinking, especially after [the Syrian army] infiltrated opposition ranks, even at the level of the leadership,” he added. Saudi Arabia may reluctantly consent to supporting the Geneva II conference on Syria in November – but at a cost: Riyadh wants to impose a Lebanese government of its own liking in order to get Hezbollah out of Syria. The UN’s special Syria envoy, Lakhdar Brahimi, is still waiting to get an appointment with the Saudis as he makes the rounds in the region to prepare for the Geneva II talks. Visiting Saudi Arabia is critical for the envoy’s mission to succeed. Brahimi knows that without Riyadh’s support, the peace conference is unlikely to make much headway. Brahimi may be reassured that the United States and Russia have gone so far as to set a date for the talks, but the man who has a long history of dealing with complicated negotiations is pragmatic enough to know that the cooperation of regional powers like Iran and Saudi are critical to achieve the task at hand. With Turkey, Qatar, and Egypt softening their stance toward the Syrian regime, the UN envoy is trying to lay the groundwork for the Geneva talks by focusing on three levels. On the international level, he has been given the blessing of the two main world powers – the US and Russia. On the regional level, Iran has welcomed his efforts, with Saudi still holding out. And finally, on the internal Syrian front, he has mended fences somewhat with the regime, as he tries to cobble together a credible delegation that would represent the opposition. Brahimi realizes that the warring sides may push for an escalation in order to gain territory or score a victory in advance of Geneva II. In particular, the opposition’s American and Saudi backers want to put a stop to the regime’s recent gains on many fronts by focusing their forces on the capital. Riyadh, for example, has been reinforcing its militias’ presence in the western suburbs of Damascus as well as the mountains that run along the northern border of Lebanon. Washington says it is doing all it can to convince the Syrian opposition and its regional supporters to back Geneva II, trying to find a way to offer the Saudis – who feel that they have the most to lose from entering negotiations with the Bashar al-Assad regime – something in return for their participation in the peace conference. Many indicators suggest that Riyadh wants to be rewarded in Lebanon, in the form of imposing a government of their choosing. That’s why we are hearing talk in Lebanese political circles, particularly among those under Saudi influence, that a government will finally see the light of day before Lebanon’s Independence Day on November 22. Riyadh hopes to form a government that would ultimately pressure Hezbollah to pull its forces out of Syria, which is currently the monarchy’s overwhelming priority. But the Saudis are unaware of the risks involved in such a venture. They may realize that all sides to the Syrian conflict are moving in the direction of a political resolution and compromise, but they are also aware that the concessions being asked of them are greater that those demanded of any other party to the crisis. The problem is that their March 14 allies in Lebanon are in such a weakened state, that a sectarian cataclysm may be necessary to reverse their losses and allow them to carry out their Saudi mission. A man from Tripoli’s Bab al-Raml was killed Thursday night in Syria’s Qalamoun, where a fierce battle between regime troops aided by Hezbollah fighters and rebels is expected to erupt. The man, identified as Ali Hussein al-Jbeily and dubbed “Abou Ammar,” was “martyred in defense of the dignity of the Ummah [nation],” according to his obituary. “Martyrdom in defense of the dignity of the Ummah” is an Islamic term for fighting in defense of the Muslim “nation,” and is an implicit reference that he died in fighting against the Syrian regime. In recent weeks media reports have said that the Syrian regime backed by Hezbollah fighters are poised to launch an offensive in the Qalamoun region of Syria along Lebanon’s eastern Beqaa. Lebanese daily As-Safir reported last week that the anticipated Qalamoun battle will have significant repercussions on Lebanon’s security. A source from the Free Syrian Army told the pro-Syrian regime newspaper that the repercussions “will not be restricted to the usual security threats,” but will rather include a wide deployment of Syrian rebels in Lebanese towns. The dialogue between Washington and Tehran irritates Saudi Arabia, which sees no welcome a restoration of relations between the two capitals. The reception of the Hezbollah MP Ali Fayyad in France and rumors in diplomatic backstage announcing a contact imminent, though indirect, between Washington and Hezbollah, through a Lebanese official personality undoubtedly inflame anger Saudi officials. Defense Minister Moshe Ya’alon said Thursday that a “civil war” has erupted in Lebanon between Hezbollah and Global Jihad elements that have attempted to drag Israel into the conflict. “To those who are not yet aware, there is already a civil war in Lebanon. Global Jihad, which has infiltrated Lebanon and is attacking Hezbollah, is blowing up car bombs in Dahia and is firing rockets at Dahia and the Beka’a Valley,” he said, referencing recent attacks on Hezbollah strongholds. Ya’alon stated that the same Global Jihad elements were behind the firing of four rockets into northern Israel from Lebanon in August. The defense minister claimed that the Global Jihad elements were attempting to elicit an Israeli response against Hezbollah with the rocket fire. “However Hezbollah was quick to deflect responsibility, saying ‘it wasn’t me.’ This is another example of our deterrence capability,” he said. Ya’alon stated that Israel’s power of deterrence was also successfully keeping Hamas at bay and preventing attacks from the Gaza Strip. The Defense Minister said that Iran poses the greatest threat to Israel by arming proxies such as Hezbollah, Islamic Jihad and Hamas. Ya’alon called on Western leaders not to “give into the temptation” of the Iranian “charm offensive.” “This is exactly what the Iranians want: eased sanctions before they stop their military nuclear project,” he warned.